U.S. AIR FORCE ACADEMY, Colo. — After 22 years of military service, Lt. Col. Calvin Daniels still prepares his uniform on Friday night for Monday morning. He likes to start the week with his best foot forward. 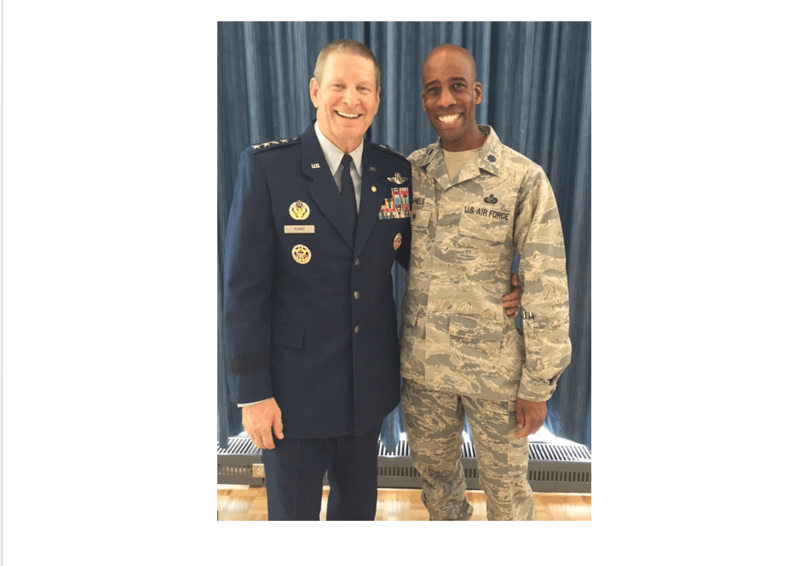 Daniels developed what might seem like small habits as a cadet candidate at the Air Force Academy Preparatory School in 1991, but throughout the years, these habits have worked themselves into a schedule of success. Daniels now oversees the school as its vice commander, shaping the future leadership of the Air Force. His advice to cadet candidates? Start now. Daniels grew up near Seymour Johnson Air Force Base, North Carolina, and dreamed of flying the aircraft that flew in regular patterns over his home. He was a member of his high school’s Junior ROTC for three years. When his JROTC commander told him about the Air Force Academy, he wasn’t sure he was smart enough, but he went through the process and eventually, landed at the prep school. He said the inclusion of cadet cadre helps demystify the Academy and gives the cadet candidates the confidence and familiarity they need to excel there. He noted cadet candidates have more outside distractions than he did while remembering how in his sophomore or junior year a cadet with a beeper was considered cutting edge. Ultimately, his vision kept him from becoming a pilot, and after commissioning from the Academy in 1996, he became a personnel officer. He said his career has given him the opportunity to travel and exposure to the highest levels of military and government. Notably, he said, he was in attendance when President Obama signed major legislation. Daniels compared his current role with winning the lottery and said he was grateful to have the opportunity to give back to the Air Force where his career began. “He exemplifies military standards, is well read and incredibly competent, and has nerves of Steel,” said Stone. He shared a tenant of Daniels’ leadership philosophy is comportment, which he described as a refined word for bearing. Daniels took over his position in late June, and is immersed in the day-to-day operations of the school, which tends to send 200 new cadets to the Academy each year, but when he does think about the future of his career it’s linked to his ability to be useful and inspire Airmen. “As long as I can continue to inspire them, to carry forward the work of the pioneers that came before me, then I will continue to do that, but someone once told me that just because you’re retired, doesn’t mean you’re not still in the Air Force — you’re just on a different status. Hopefully my contributions to the Air Force will continue until my dying days,” he said.